Adopting metrics that reflect what matters most to the customer, learning from social moments of truth and ensuring your marketing approach pivots on value are some of the ways senior marketers are striving to listen, learn and inspire customers. 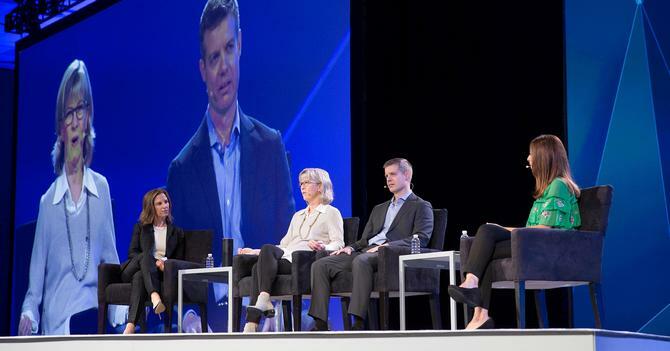 Speaking on a panel at this year’s Marketo Marketing Nation summit, Autodesk VP of data analytics and automation, Jeff Wright, said the business software vendor is trying to be more in tune with customers by employing measurements that reeflect what matters to them. “We’ve been relying on service-level metrics as they’re easy to get – things like monthly activity, or time spent in app. They’re not irrelevant, but they don’t get to heart of why a customer does business with us,” he said. “We’re trying to find metrics that align to their interests as well as our business – for example, by finding signals in how they’re using our tools that show they’re getting more productive as a result. Advanced analytics is helping us to find those patterns. Hakkasan VP of customer experience marketing, Tracee Nalewak, said engagement is ultimately about loyalty. “If we build the right relationships at a personal level with customers, that will drive loyalty,” she said. Learning and listening means firstly putting the customer at the core of your business, Nalewak continued. “Without that, you can’t get to that second place, which is understanding that it’s important for us to know more about our consumers,” she said. In an attempt to better drive engagement, Hakkasan recently partnered with marketing agency, Solomon Solutions, to investigate the personas of its largely millennial customer base. Nalewak described this generation as creatively inspired, and explorers “who want to be influenced”. Instead of looking at them as simply ticket buyers, Hakkasan is trying to “feed into them emotionally” and provide a more tailored service. It’s doing this through its ‘Wannabe’ campaign, which revolves around a virtual concierge. The offering is based on Marketo and tailors communication and service to that customer. “This makes them feel important – additional access, service and being the connection,” Nalewak said. Hootsuite CMO, Penny Wilson, noted the shift to customer value is seeing systems of record and engagement coming together. The key is identifying and tapping into those valuable customer moments, she said. “As marketers, we’re no longer in send mode, we’re in receive mode.... engagement has to be authentic, personal and relevant,” she said. “And that starts with listening. For Amazon Web Services VP of worldwide marketing, Ariel Kelman, engagement starts with customer obsession. He explained AWS’s marketing approach is focused on educating the customer and helping them as IT makes the transformational shift to cloud computing. The way AWS does this is by striving to ensure what is does is actually working and useful for its customers, Kelman said. At the same time, he warned marketers must continually guard against engaging in marketing activities that diminish consumer trust. “We go to extraordinary lengths to ensure we don’t overly engage with customer and get that balance right,” he added.